Get your wardrobe updated with this fresh fashion kurti. 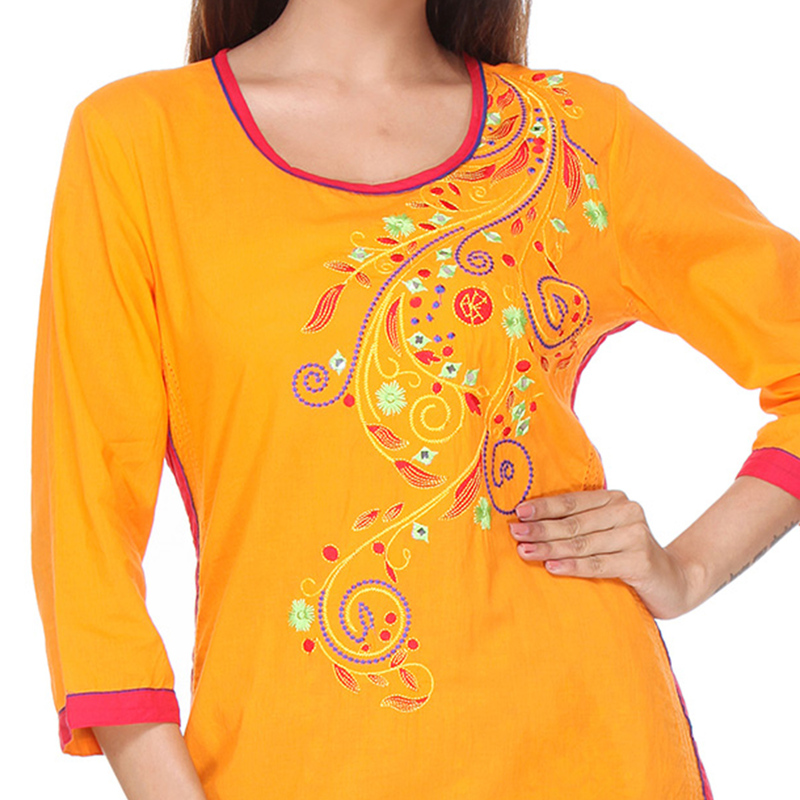 This orange kurti features cotton fabric detailed with floral design print work. It's a perfect outfit for your casual & regular wear. Team it up with matching palazzo or leggings for a complete look.